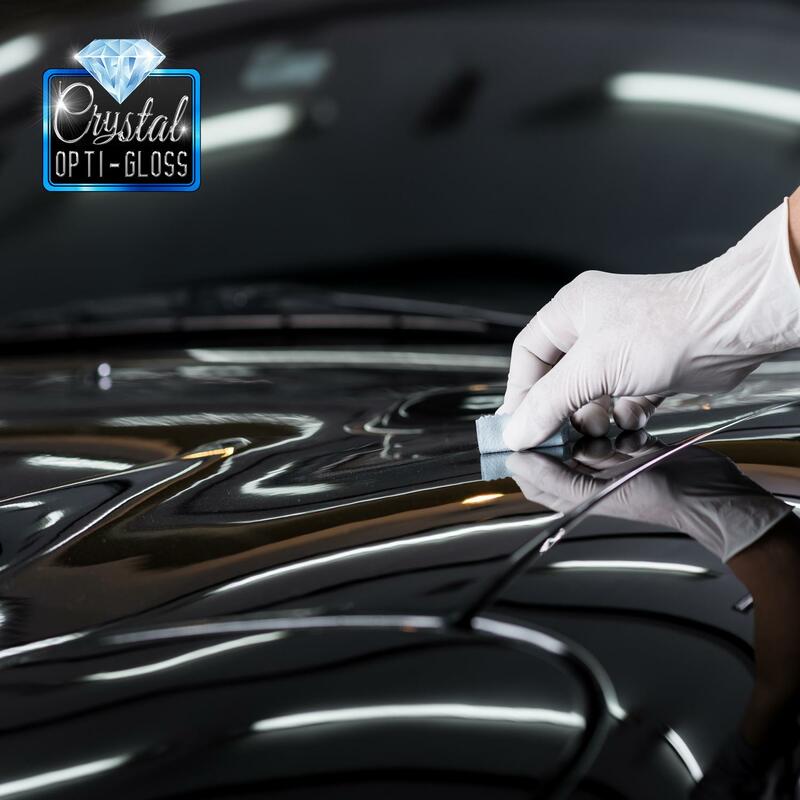 Crystal Opti-gloss increases gloss and creates an ultra-hydrophobic water repellent (water beading) coating which will last for over 6 months on paintwork. The innovative technology behind the development of Crystal Opti-Gloss means that it does not require any expensive specialist equipment to apply the coating. Crystal Opti-Gloss is the most water-repellent coating which we have ever developed, it causes water to blow away from the surface as your drive! The ultra water repellent coating additionally creates an enriched deep gloss finish, which highlights the true beauty of the paintwork. It adds optimum depth and reflection to dark colours while creating a vivid vibrant glow to lighter paintwork colours. Crystal Opti-Gloss instantly and simply creates a slick protective UV barrier which makes it more difficult for dirt and grime to adhere to the paintwork, keeping the surface cleaner for longer. Crystal Opti-Gloss can also be applied very quickly, just apply to a small section at a time and wipe the residue away, without delay. Crystal Opti-Gloss is developed using the same innovative surface technology as our extremely durable ceramic coating Crystal Opti-Shield. 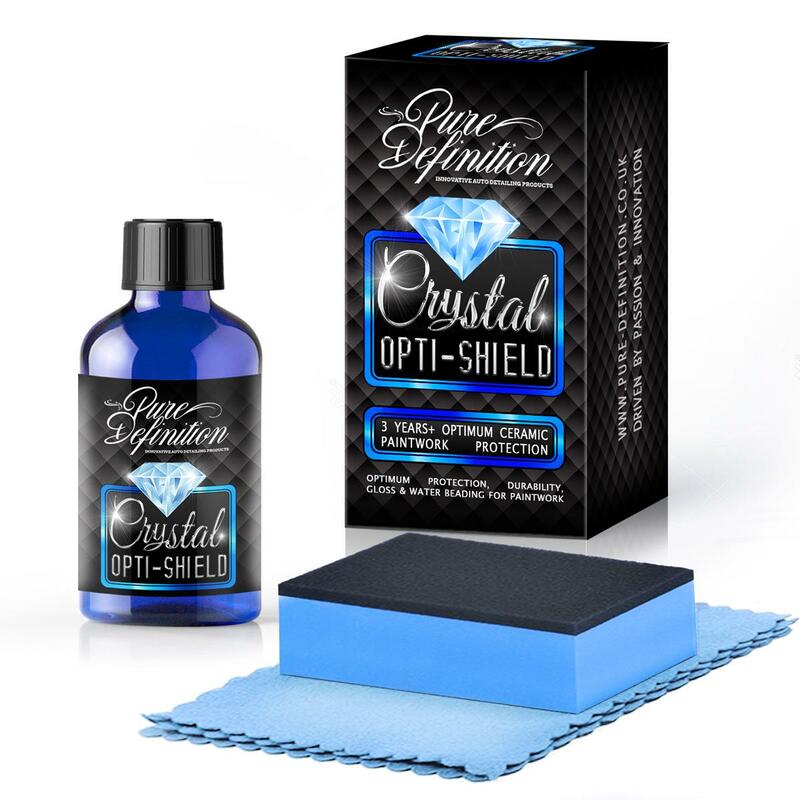 Crystal Opti-Gloss can be used on its own or with our ceramic coating Crystal Opti-Shield. 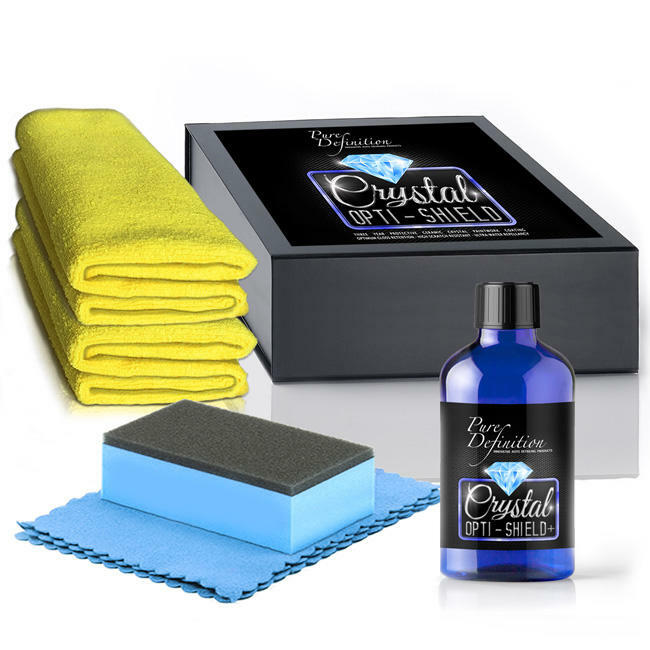 When combined with our Crystal Opti-Shield they offer optimum paintwork gloss, optimum paintwork protection and optimum paintwork water repellency. Each bottle of Crystal Opti-Gloss has enough applications to last over 1 and a half years when applied to an average sized car. 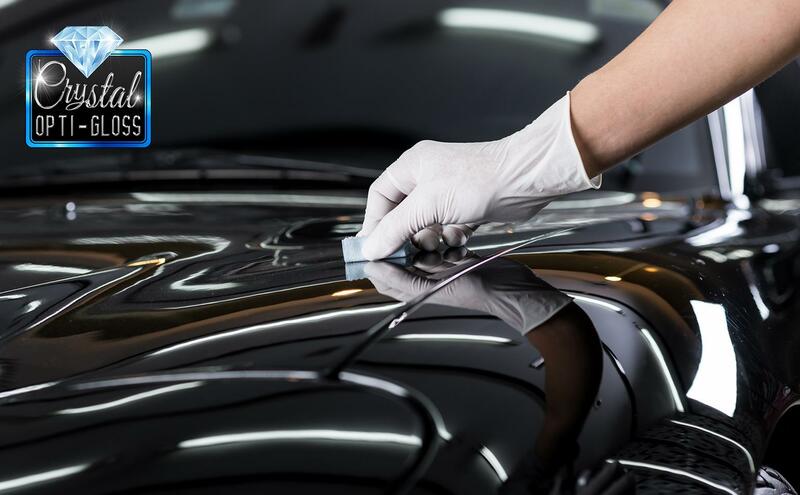 Maintenance top-ups every 6 months restores the ultra water repellent layer and slickness to the paintworks surface for the ultimate paintwork protection. 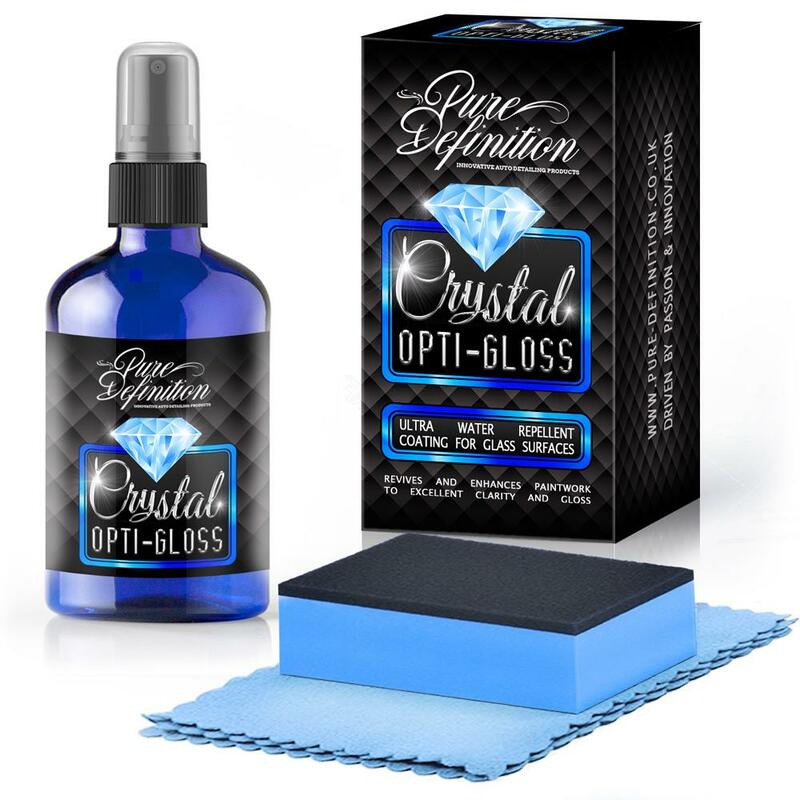 Crystal Opti-Gloss should be used either on its own or applied after applying Crystal Opti-Shield or Crystal Opti-Shield+. After application only use a PH Neutral car shampoo to clean the paintwork, such as Gloss Wash Shampoo or Pure Wash Shampoo. 1. 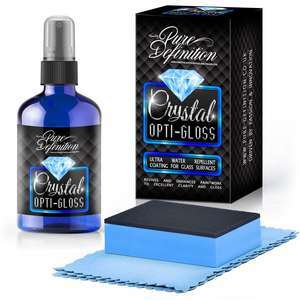 Remove all dirt and grime from the surface before applying Crystal Opti-Gloss. Ensure the surface is completely dry on the vehicle. 2. Wrap the cloth around the applicator pad and spray enough Crystal Opti-Gloss onto the face of the cloth provided to get an even saturation. 3. Apply to a small area at a time (roughly 60x60cm). Apply in overlapping strokes and wipe away each area before moving onto the next section. 4. If the surface temperature of the vehicle is 5-15°C wait one minute before removing with a microfibre cloth. if between 15-40°C remove immediately. never apply in direct sunlight and in temperatures over 40°C. 5. Do not get moisture or dust on the surface for 1 hour during the curing period. after this the surface is dry and the vehicle can be driven. 6. 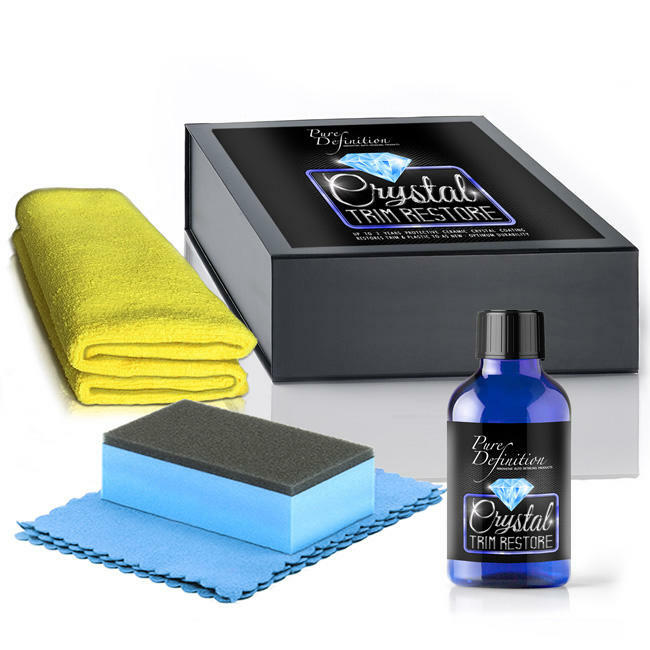 Once Crystal Opti-Gloss has been applied only wash your vehicle with a PH neutral shampoo. Do not apply any other wax or sealant products on top as this will impact the water beading characteristics of Crystal Opti-Gloss.